The X-40A activities have been merged with the X-37, where NASA, the Air Force, and Boeing shared the cost of the program evenly. The X-40A is an experimental vehicle shaped like the X-37 but lacking its advanced thermal protection materials. It is also 20 percent smaller than the X-37. 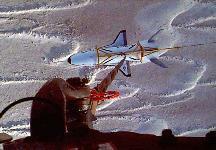 Built by Boeing for the Air Force, it was released from a helicopter and glide-tested in 1998. 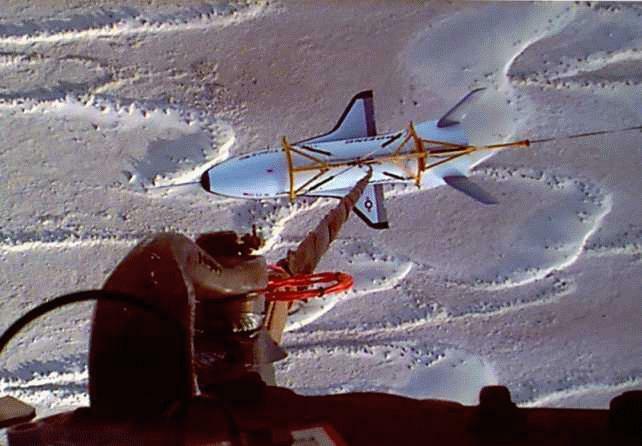 It was drop tested from helicopters in 2001 to reduce risk before the X-37 is flight-tested. 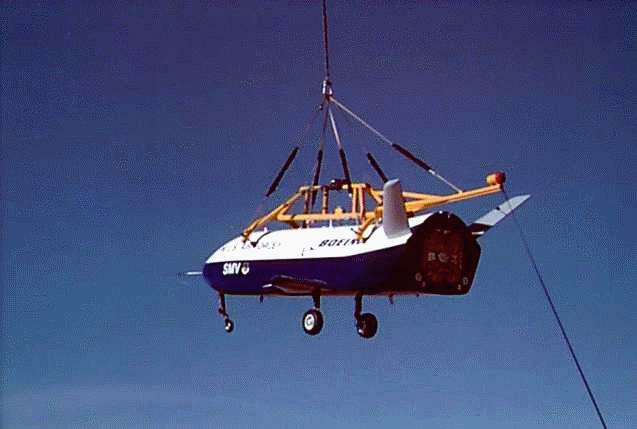 The 90 percent-scale vehicle was built by Boeing Phantom Works, Seal Beach CA, under a partnership between Air Force Research Laboratory Space Vehicles Directorate at Kirtland Air Force Base NM and the Air Vehicles Directorate at Wright-Patterson Air Force Base OH. A helicopter release of a 90-percent-scale of the SMV to demonstrate autonomous control and landing capability. The design and construction of a full-scale SMV center fuselage and wing carry-through box that successfully passed its structural tests. 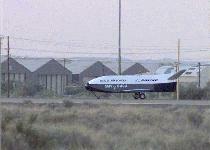 The Space Maneuver Vehicle completed a successful autonomous approach and landing on its first flight test on 11 August 1998. The unmanned vehicle was dropped from an Army UH-60 Black Hawk helicopter at an altitude of 9,000 feet above the ground, performed a controlled approach and landed successfully on the runway. The total flight time was 1-1/2 minutes. During the initial portion of the its free fall, the maneuver vehicle was stabilized by a parachute. 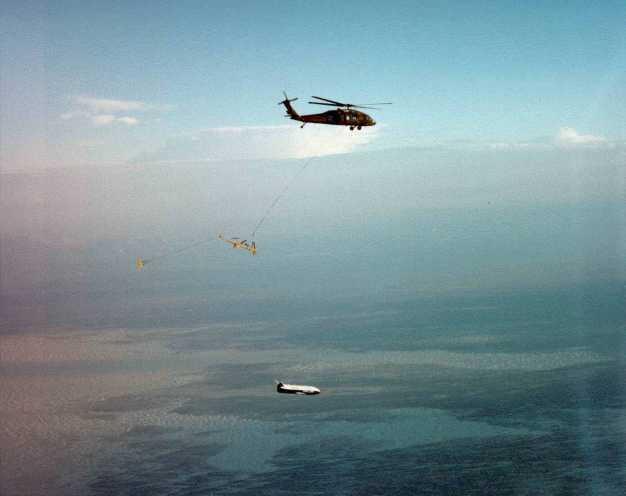 After it is released from the parachute, the vehicle accelerated and perform a controlled glide. 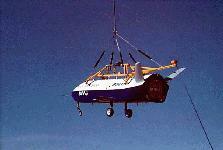 This glide simulated the final approach and landing phases of such a vehicle returning from orbit. The vehicle, which landed under its own power, used an integrated Navstar Global Positioning Satellite and inertial guidance system to touch down on a hard surface runway. First flight at NASA's Dryden Flight Research Center for the X-40A was a 74 second glide from 15,000 feet on March 14, 2001. Second free-flight of the X-40A at the NASA Dryden Flight Research Center, on Edwards AFB, Calif., was made on Apr. 12, 2001. The X-40A was released from the strongback during Free Flight #2A. 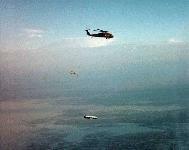 Both are attached by tether line to the CH-47. NASA's X-40A, a prototype of a space-return aircraft, successfully completed its seventh and final test flight in May 2001, gathering information and clearing the way for future flights of its larger brother, the X-37. 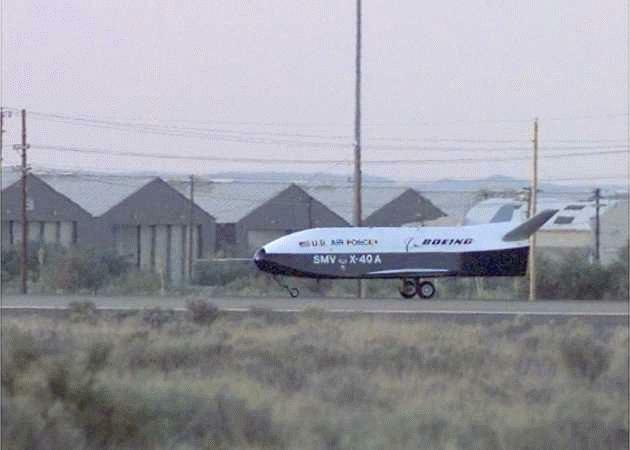 On average, the X-40A free flights lasted approximately 75 seconds from release to landing, with the vehicle reaching speeds of more than 300 miles per hour. The structural test article program is proving out and failure-testing composite building materials needed for the spaceplane development. A full-scale vehicle center fuselage and wing carry-through box was built and will be tested to evaluate the composite materials. In May 2001, AFRL awarded a $10.4M contract to develop hydrogen peroxidebased rocket propulsion systems to Aerojet. Under this contract, Aerojet was to retire risk areas in injectors, catalyst beds, turbine materials and design and thrust chamber design, paving the way for a highly operable reusable rocket engine using non-toxic propellants. The contract with additional options is expected to earn Aerojet up to $29.9 million over the next four years. The Advanced Reusable Rocket Engine (ARRE) program represented a dramatic stepping stone for Aerojet's reusable rocket engine technologies - as well as the aerospace industry as a whole. This program was to advance state-of-the-art peroxide engine technologies 30 years by maintaining storable rocket engine performance with environmentally friendly propellants. Aerojet is tasked to develop an Advanced Reusable Rocket Engine that utilizes non-toxic, hydrogen peroxide as a propellant. The technology Aerojet proposed for the SMV engine significantly leapfrogs existing peroxide-based technologies by using advanced injection concepts, fabrication processes and chamber materials. The ARRE program started in May 2001 and ran through April 2005. Development of the Advanced Reusable Rocket Engine and all its components were conducted at Aerojet's Sacramento facility. Aerojet successfully validated its design of a revolutionary tri-fluid propellant injector for non-toxic hydrogen peroxide engines. The hot fire testing in February and March 2002 demonstrated the injector's performance capabilities including its reliable ignition and its stability even at twice the normal throttling range. Tests were conducted on a sub-scale version of the injector using two different injector patterns. Both performed successfully, and one will be chosen for the full-scale tri-fluid injector. Test results indicate that acceptable performance was achieved for both element types. Also, the injector element chug threshold was much lower than anticipated and will serve to provide additional throttling capability well beyond what is required. The tri-fluid injector was an invention that will enable a closed-cycle hydrogen peroxide engine to perform similarly to conventional toxic rocket engines while providing high throttleability for a variety of vehicle missions. Completing this testing has validated our injector element design and significantly reduces the risk as we move forward into full-scale testing. What made the tri-fluid injector unique is that decomposed peroxide, used to drive the turbopump, is exhausted into the tri-fluid injector to ignite the engine's hydrogen peroxide and jet fuel propellants. This creates a closed-cycle engine system that does not dump propellants overboard like a typical gas generator cycle engine. The result is higher performance and a wider range of throttleability. Future phases will depend on Air Force guidance and availability of funds. Subsequent phases are currently being planned, but are not funded. They involve initial capability technology demonstrations leading to expanded operations. If the technology program is successful, a full operational capability would eventually be fielded.